I made this aspen tree ornament after a summer trip to beautiful Colorado. Unfortunately, I didn’t take pictures of my process, but it wasn’t difficult. You can use the tutorial that helped me by going to this site: http://angelaandersonart.blogspot.com/2012/11/easy-birch-trees-kids-art-class.html. At our craft party a week or so ago, I brought this versatile craft for all to try. Using watercolor paper, craft paints, and toothpicks, we made necklaces, earrings, and ornaments. Below is one of the ornaments we made. 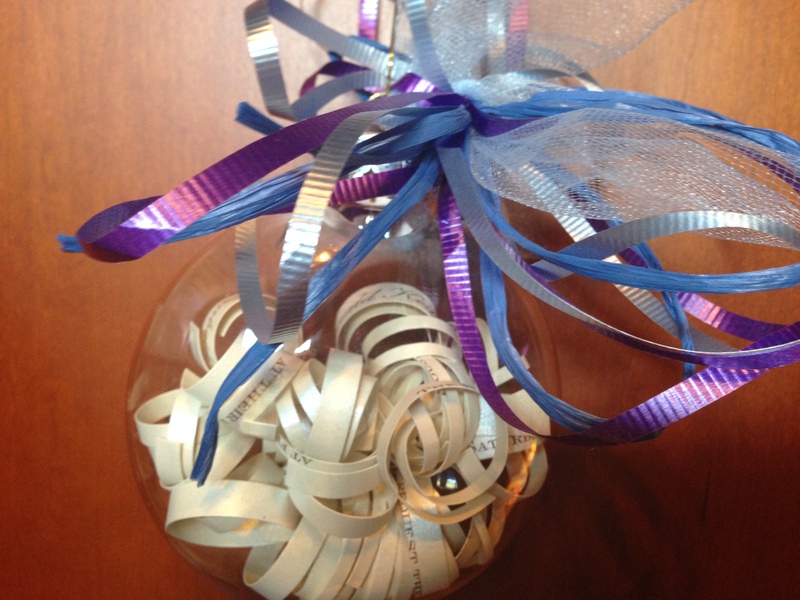 We went to a wedding for a dear friend’s son a few weeks ago, and today I turned the wedding inviation into an ornament for the bridal couple for their Christmas tree. 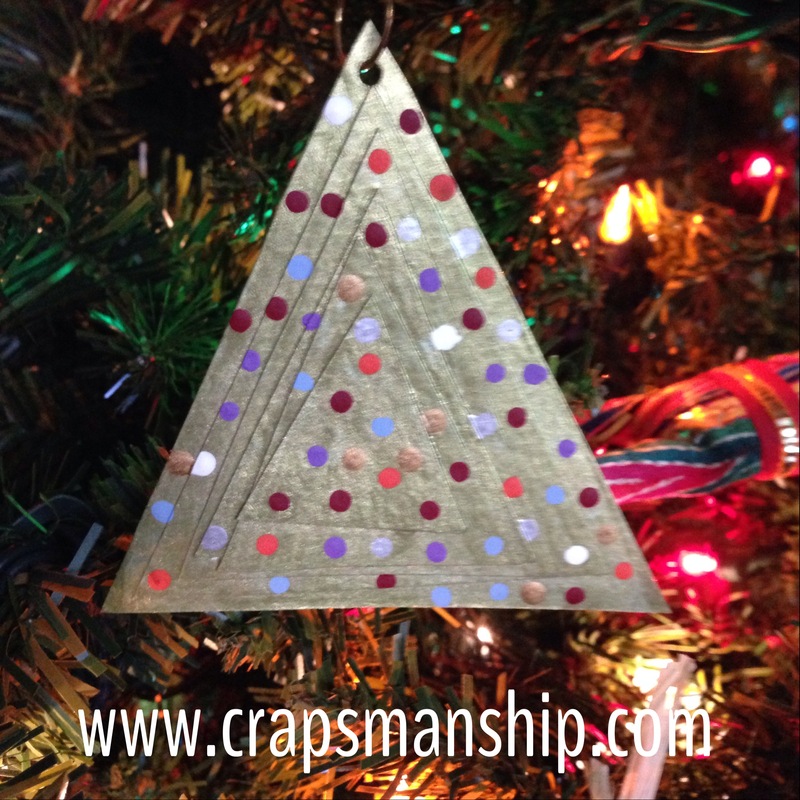 This is my first blog post — while the ornament was easy to do and turned out well, (CRAP ALERT!) the photography for this post was neither easy nor well-done. Please excuse the quailty of the photos as we begin to learn the tricks of the blogging trade!